Entries from Digital Intelligence tagged with "canada"
Data protection vacancies have increased by four times the UK average, with 25% of jobs advertised in 2018, according to new research. 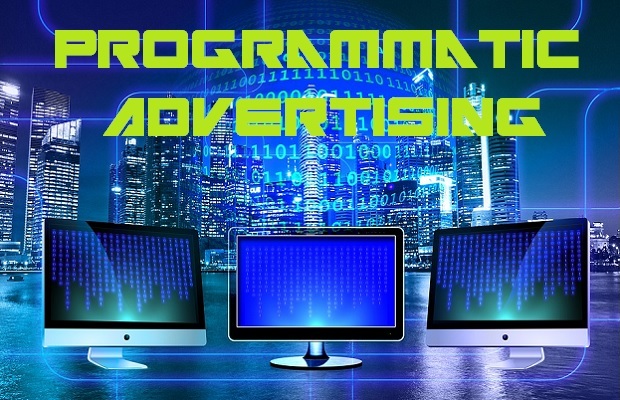 Two thirds of the world’s digital display advertising (67%) will be traded programmatically by 2019, up from 59% in 2017, according to new research. 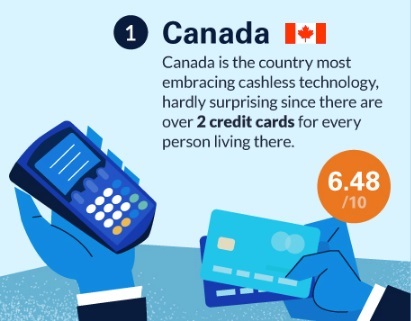 Canada is leading the world when it comes towards consumer adoption of cashless technology, followed by Sweden and the UK, according to new research. 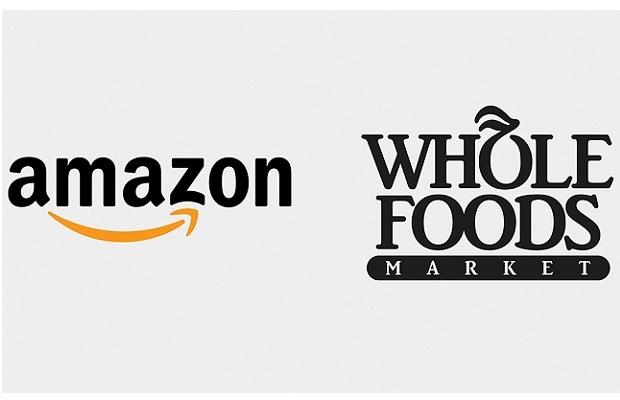 Amazon is buying Whole Foods in a deal valued at $13.7bn (£10.7bn), shaking up the grocery sector. YouTube has launched a messaging feature built directly in the video app, making it easier for users to chat and share videos on a one-to-one basis. There is a positive outlook for the global advertising market in 2016, set to continue in 2017 powered by the ongoing growth of Digital, according to new research. New connected consumers in emerging markets, especially rural China, continued to drive smartphone growth in 2Q16, according to new research. Brazilians are the most active demographic in terms of both usage and engagement, while the UK leads the world for shopping app use, according to new research. Facebook has launched its photo-sharing app in the EU and Canada after adapting its controversial facial-recognition software to work around each region's privacy laws. Unilever has started a new ‘Selfmaker’ campaign from AXE that showcases men who have made their dreams a reality. Popular chat app Kik has secured $50m funding boost from Chinese web giant Tencent, owner of rival social media apps WeChat and QQ. Blackberry has revealed a new security-focused tablet powered by Samsung, further adding to rumours that the former smartphone market leader could be solds off. Ecommerce is set to boom across Europe and North America this year. Online sales are forecast to grow by 16.2% in the UK, while sales across Europe are tipped to grow by 18.4%, according to new research. North American millennials will spend over $62 billion on media content in 2015, despite being dubbed as the 'generation that won’t spend', according to a new report. Forget bent phones… how about square ones? Blackberry has launched its latest Passport device this week, as the phone maker looks to turn around its fortunes with an unconventional approach. Euro and America seasonal trends: What is the international ecommerce market worth to businesses? Businesses in the travel, retail, leisure and content sectors, could benefit from a global eCommerce export market worth £45bn by 2020, which is three times its current estimated value of £13bn, according to new research. Instagram is launching ads in the UK, Canada and Australia following trials in the US last year, as the Facebook-owned photo app looks to expand its ad reach and capitalise on its popularity with younger mobile users. BlackBerry will refocus on the enterprise as it looks to recover from declining sales of its handsets, but the firm is also looking to expand into the Internet of Things with its real-time operating system. Apple has performed strongly in the first quarter of the year, with sales bouncing back in Europe, Japan and Australia, but Android still dominates globally, according to new data. Nine out of ten (90%) global marketers are not trained to calculate return on investment (ROI), and 80% struggle with being able to properly demonstrate to their management the business effectiveness of their spending, campaigns and activities, according to new research. Blackberry has reported a net loss of $5.9bn (£3.5bn) for its latest financial year, as the former smartphone king continues to lose ground to the likes of Apple and Samsung. Google expands £30 Chromecast to Europe and Canada: A TV game changer? Google has launched its £30 Chromecast TV dongle iacross Europe and Canada this week, taking on the likes of Apple TV, Roku and Sky’s Now TV. Competition for talent at digital agencies and production companies is leading to sharp salary rises, and remuneration gaps of up to 45% between some regions, according to a new report.